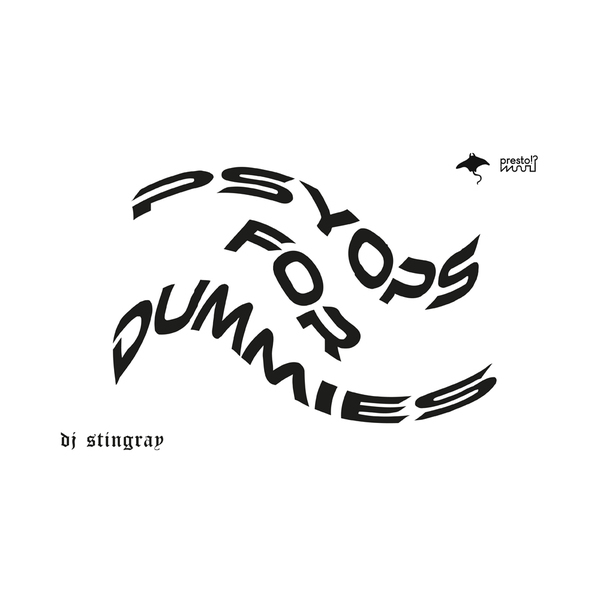 Ahead of Stingray's eagerly awaited NRSB-11 album with Heinrich Mueller, Lorenzo Senni's boundary-pushing Presto!? label presents four precise electro data-bursts by the Detroit legend. Regular readers of these pages will know we hold Stingray productions in very high regard and it's great to witness his enduring relevance with successive generations of cutting edge electronic futurists. 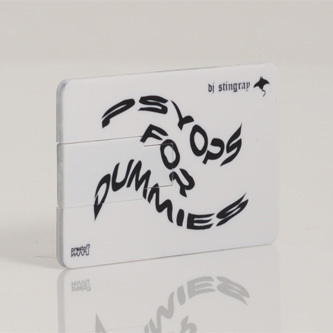 His 'Psyops For Dummies' session offers four uncompromising biomechanic movers for digital DJs and urban headphone dwellers, implanting the panoramic sci-fi visions and pinging electro of 'Disinformation' or signature hardstep swerve of 'Fullbodyscan' and 'The Strategy Of Tension''s militant funk into the digital stream, and on a format that really fits the rhetoric.